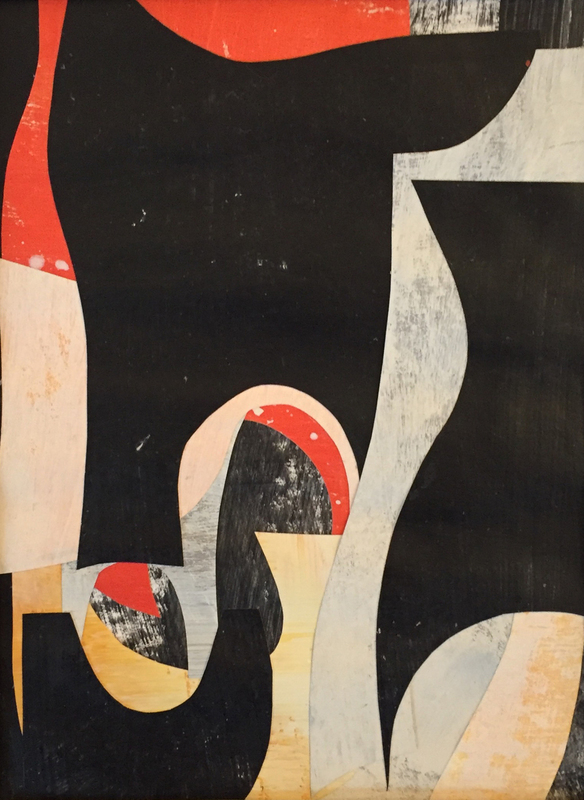 Paper Works highlights two-dimensional and three-dimensional works of paper that delve into a process-based exploration of shape and form through a chosen medium: Daniel Anselmi with painted paper and collage, James Marshall with graphite. Anselmi’s work explores the use of paper as an ongoing dialogue between painting and collage. He uses painted paper as one would handle a brush: cutting and layering it to create vibrant, colorful compositions on paper and canvas. A portion of the collages on view were made during a five-week residency on Monhegan Island where Anselmi drew inspiration for the colors and forms from his surroundings, such as yellow lichen on rocks, a rusted shipwreck and foggy ocean views. James Marshall will exhibit graphite on paper pieces, including both drawings and sculptures. Marshall has a keen interest in the way graphite can change the form of paper, lending character and dimensionality. His sculptures use collected paper bags as a base; Marshall then coats the bags with layer upon layer of a graphite and plaster solution, transforming them into sturdy, stand-alone structures that retain the familiar shape and quality of a paper bag. Daniel Anselmi is a fine artist currently living and working in Belfast, Maine. Daniel Anselmi was a Monhegan Artists Residency Fellow in 2013. He has shown in juried exhibitions including the University of Maine Triennial, University of New England, Portland Public Library, Cambridge Art Association’s Northeast Prize Show, and CMCA. Prior to making his own work full-time, Daniel worked as a designer for Bloomingdales in Boston. His work has also been in 5 solo exhibitions and included in 24 group exhibitions. James Marshall is a visual artist living in Brunswick, Maine. His work has been included in exhibitions within Maine as well as in New York City and abroad. His body of work includes drawing, sculpture, painting and photography. James’ graphite on paper drawings have been included in shows at the Portland Museum of Art, Center for Maine Contemporary Art, Icon Contemporary Art (Brunswick), and are included in collections both private and public.